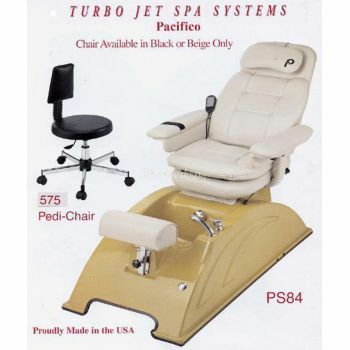 This pedicure spa is available in: Black, Spa Beige, or a Custom Color of your choice for $250.00 additional. Made in the U.S.A. This pedicure spa is made of a durable fiberglass with an acrylic coating that will maintain its luster better than any other finish. 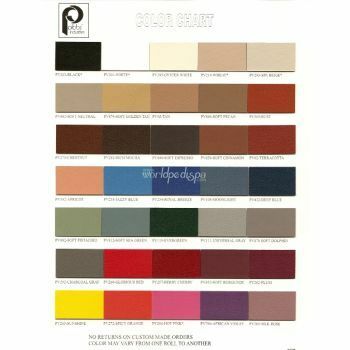 The Acrylic coating gives it strength and stability. Shell is made in the USA. 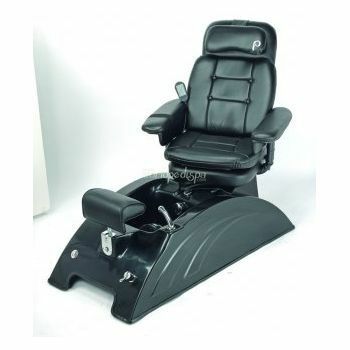 Adjustable and oversized footrest with easy to use controls, dual sprayer, and sink stream. 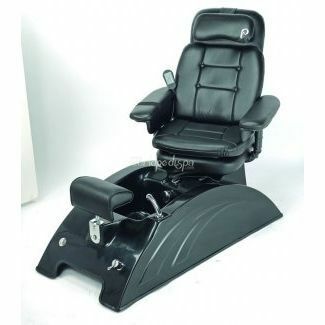 Chair top can recline and slide manually forward and backwards easily. Black or Beige Chair Top/ Optional Colors Available for 10% Additional! !